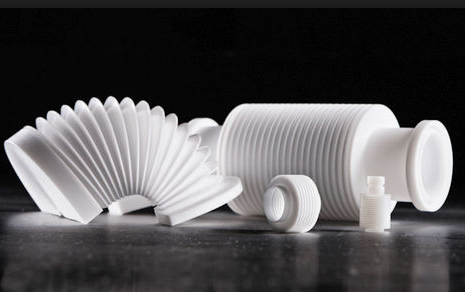 Leading Exporter of ptfe pipe, polytetrafluoroethylene, ptfe gland packing, ptfe bearing pad, ptfe bellow seal and ptfe bellows from Mumbai. We are one among the prominent manufacturers and exporters of PTFE Pipe that is vastly used in the chemical processing industries. Resistant to chemical, it is highly popular among the clientele we hold. Known for its insulation to electricity, our offered range of pipes has fetched high demands in the market. This offered pipe is further known for its non-flammable properties. 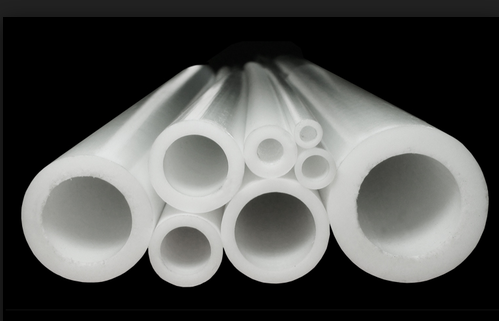 Polytetrafluoroethylene (PTFE) is a synthetic fluoropolymer of tetrafluoroethylene that has numerous applications. PTFE is a solid fluoro carbon, as it is a high-molecular-weight compound consisting wholly of carbon and flooring. Used majorly in aerospace and computer applications. Also used in industrial applications. 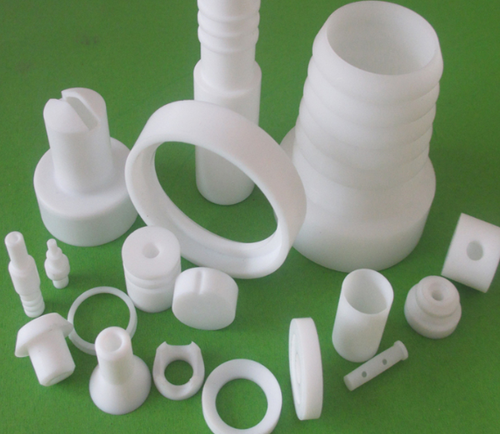 We are involved in exporting supreme quality PTFE Gland Packing which is braided with PTFE yarn and quality nylon containing graphite particles and anti-corrosive lubricant. 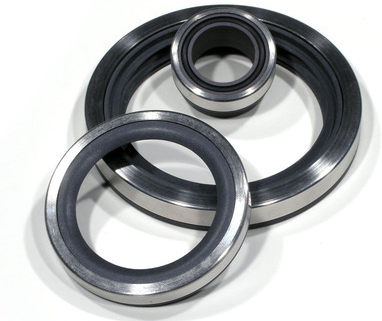 It plays a very important role in the sealing of high-pressure piston pump over a long period. It requires low maintenance and is frictionless. It can be used to seal alkalis, solvents, water, and steam, acids except for strong oxidizing acids in centrifugal pumps, autoclaves, agitators, and mixers. 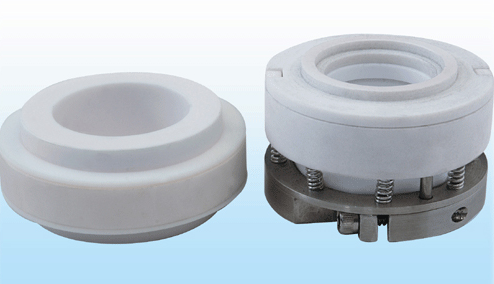 PTFE Bearing Pad is manufactured by the molding method with PTFE granular resin. It is highly recommended by our clients’ for its resistance towards chemicals, non-abrasiveness, and high thermal stability. It is extensively used in electric insulation, anti-caustic materials and parts, mechanical sealing and lubrication material and also in heavy industrial plants, buildings, and bridges. 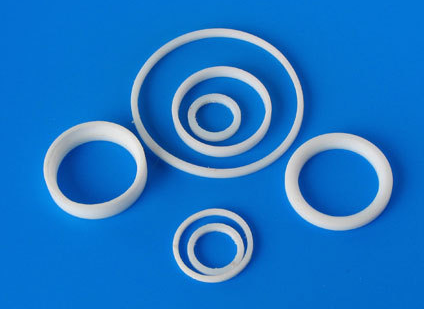 We are engaged in manufacturing quality PTFE Bellow Seal, which is designed to cater to the requirements of our clients’ through continuance endeavor and innovation. It employs low friction, chemical resistance and resistance towards radiation. This seal is manufactured using standard raw materials and is widely used in automobile, sanitary and pipe fittings. We offer quality range of PTFE Bellows for safe passage of pipeline from the main glass equipment. These are manufactured as per the international quality standards, and are used in various industries, like fertilizers, pesticides, pharmaceuticals, chemical processing etc. These exhibit excellent performance and reduce transfer of vibration from the rotation of equipment connected to the glass assembly. Teflon PTFE Bronze Wear Guide Hard Turquoise Strip Aka Patti. The hard, bronze, wear, guide, turquoise strips aka Patti or patta we offer to our clients, are fabricated using high-grade raw material like Teflon parts. 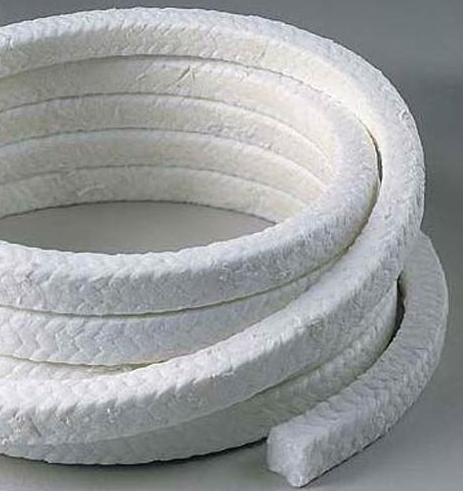 We are a renowned name, engaged in offering PTFE Scrap. 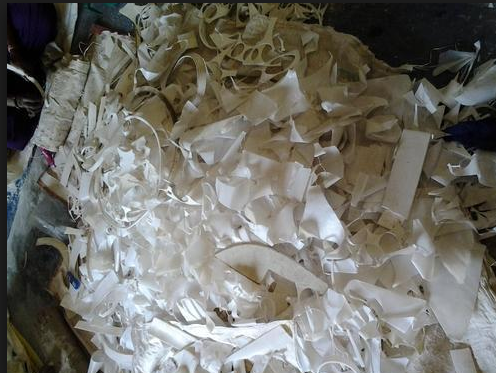 Our offered scrap is manufactured from PTFE (polytetrafluoro ethylene) and PFA (polyfluoro ethylene) materials, employing contemporary technology in compliance with industry laid standards and norms. It is available with us in various sizes, dimensions and shapes to fulfill variegated requirements of our clients. 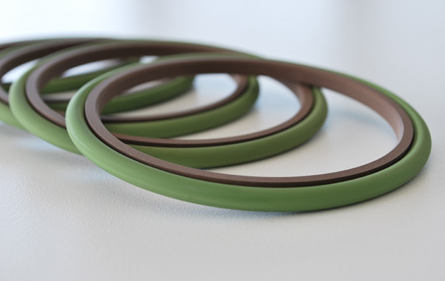 With the help of experienced and well-qualified professionals, we are competent to offer an inclusive assortment of PTFE Oil Seal to our valued clients. 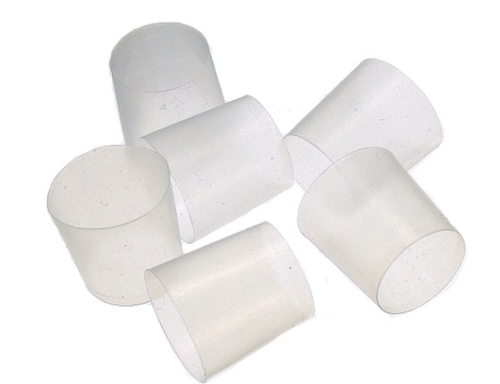 We are listed at the apex to offer PTFE Sleeve that is manufactured using supreme quality products obtained from trusted vendors. Resistant to corrosion, it is widely considered among the revered clients we have. Directed with a dedication to serve the client satisfaction at prime, we ensure the premium quality of the products offered. This offered sleeve is further capable of withstanding harsh weather conditions. We hold expertise in offering optimum quality PTFE Electrical Products for our prestigious customers. 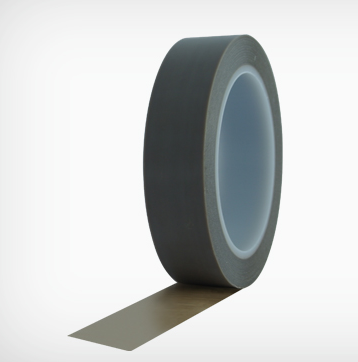 Manufactured in accordance with the industry laid standards, the offered products are widely used for the production of insulation tape and films used in various electronic and electric industries. In addition to this, the offered products are used for the production of insulator bushes. We are recognized within the industry for our pioneering work in manufacturing standard quality PTFE Ball. 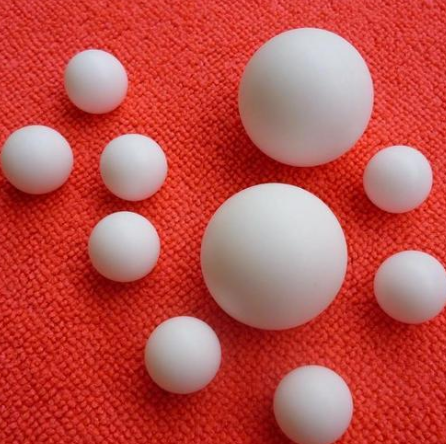 This ball is made available in different sizes and can be used in the areas where metals and alloys cannot be employed. It can be used in extreme temperatures and possess the best electrical properties of all plastics. 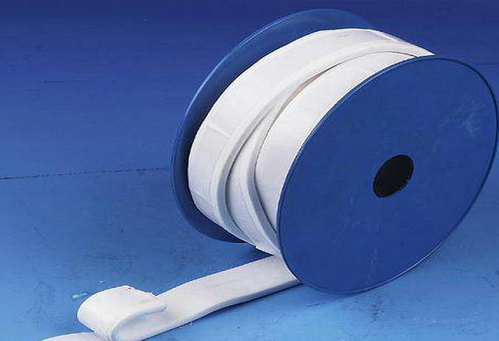 PTFE Gasket Tape is popularly known among our customers for its excellent sealing capacity and corrosion and radiation resistance. 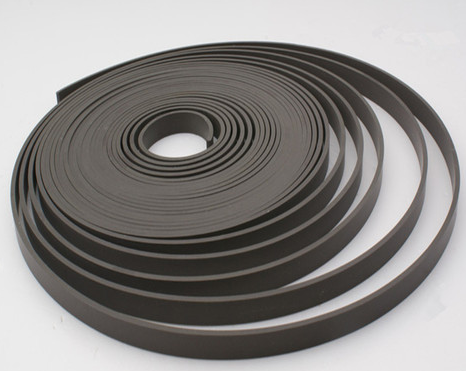 It has a non-sticky surface and is widely used in various industrial applications which include construction sector, chemical industry, space navigation, transport and other areas. 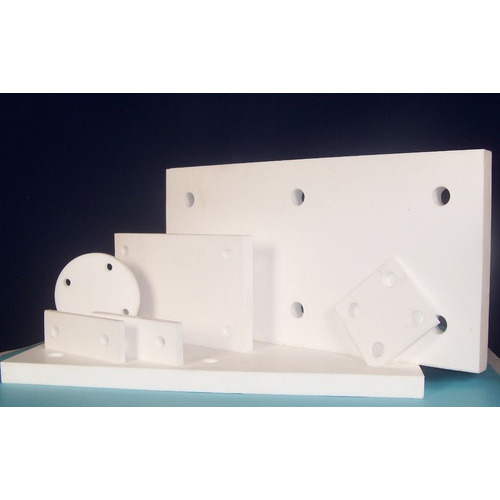 Our comprehensive range of PTFE Diaphragms is manufactured using high-grade resin sourced from trusted vendors. 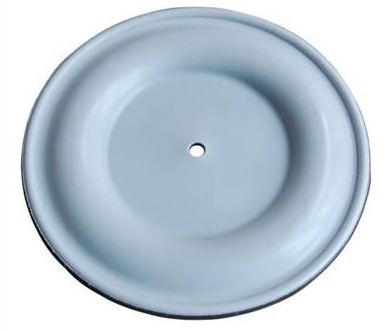 These PTFE Diaphragms have gained huge appreciation the market for their host of qualitative features and find extensive application in diverse industries. Different specifications can be made by methods of molding, skiving and finalizing the design. It can also be adhered to rubber and metal with one side etched. We hold vast expertise in offering a vast range of PTFE Piston Sealto our reliable clientele. These products are based on sophisticated tools and machines and find broad application in the industries. Available in diverse sizes and lengths, we supply these products in customized specifications. In addition, we supply these products as per the demands of the clientele. 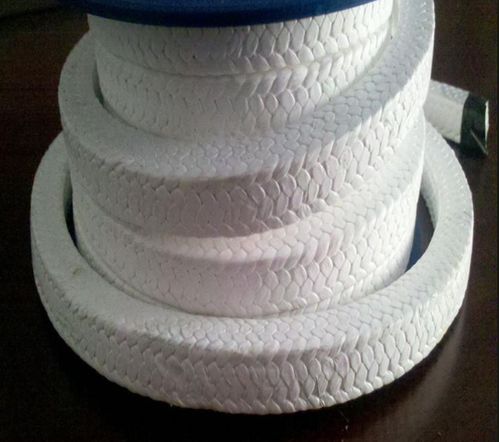 We take pleasure to introduce ourselves as the renowned manufacturer and supplier of excellently designed PTFE Universal Rope. Manufactured using high-grade raw material and cutting-edge technology, these Universal Rope Gaskets are highly accepted by our customers. Further, our gaskets are thoroughly tested against various quality parameters before final delivery at client's end. Clients can avail our range as per the specific requirements of the customers at industry competent prices. 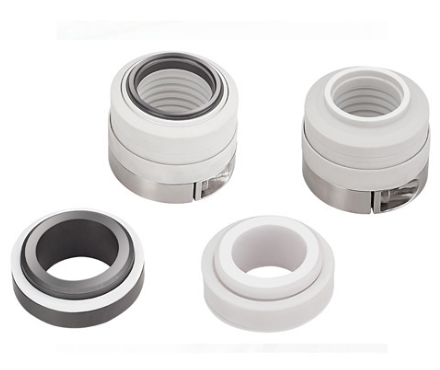 Specialized in the industry as a manufacturer, supplier and exporter, we are engaged in offering PTFE Ball Valve Seal. At our end, the offered seal is manufactured using high grade polytetraflouroethylene materials, obtained from accredited vendors of the industry. We are providing this PTFE Ball Valve Seal at industry leading prices in different specifications to suit the demands of esteemed clients. We are regarded amongst the reckoned names in the industry offering functionally advanced range of Teflon Bellow Seal that is sturdy in construction and durable in nature. Our entire product range is performance oriented and are delivered as per the exact preferences of clients. They are durable and are abrasion resistant in nature.